Judy Zacharias says she went into physical therapy as a career choice on the basis of a career aptitude and interest test, but the real question is why she stayed in it for 37 years. 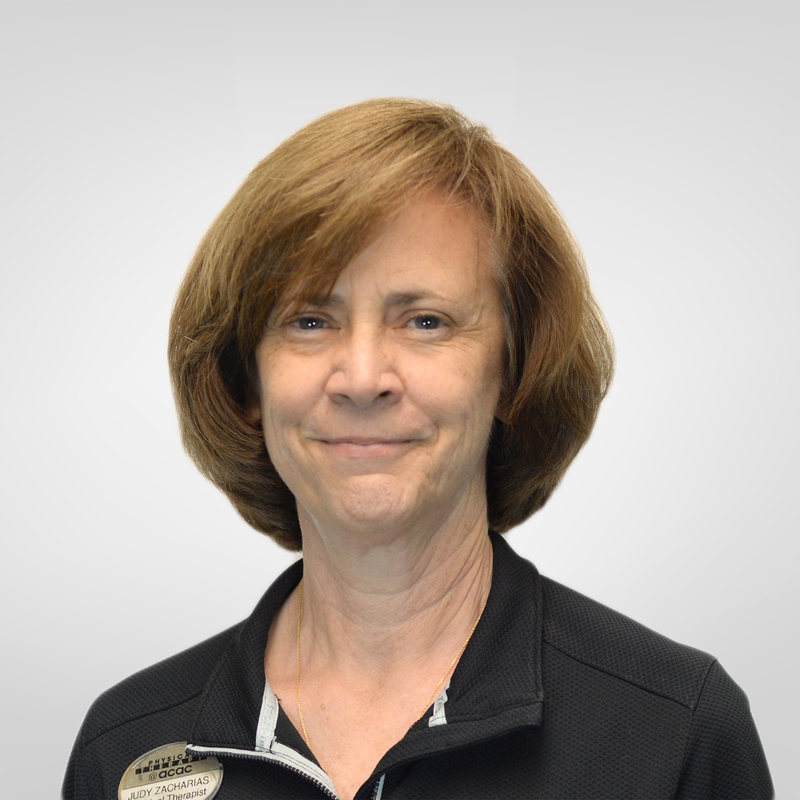 Judy earned her Bachelor of Science degree in Physical Therapy from Ohio State University and her Master of Science in Orthopedic Physical Therapy from Virginia Commonwealth University, Medical College of Virginia. She now has more than 37 years of experience working as a physical therapist in a wide variety of settings. She specializes in treatment of back, hip and shoulder pain, general orthopedics, and women’s health issues including osteoporosis, structural pain during pregnancy, incontinence and coccydynia. She also has extensive geriatrics experience. When she is not working, Judy likes to spend time with family and friends. She also enjoys being involved in the life of her church (St. Thomas Aquinas) and in an ecumenical group IMPACT that works for systemic change in the community. If she has any free time after that, she loves to watch soccer.